People struggling with bruised credit often are left searching for ways to get approved for an auto loan to buy that special car they always wanted – but never could get around to purchasing after circumstances damaged their credit. However, RoadLoans has changed the car-buying experience for anyone with bruised credit who can’t seem to get a break from other lenders. 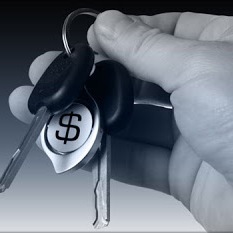 RoadLoans has unveiled a new program, “Buyers Rejoice,” that takes advantage of the ease of applying and getting approved for auto loans that buyers otherwise might not obtain. Because of this program and others like it, RoadLoans has become the lender of choice for major automotive websites, such as autotrader.com, cars.com and eBay Motors. The “Buyers Rejoice” program highlights the feeling customers get when they are informed on how to buy a car and then receive the loan they need before they go to purchase a new or used vehicle. This produces confidence for buyers because they know they will have the money to get the car when they go in to see the dealer. With this campaign, RoadLoans is providing more financing to more people, and reviews show how easy RoadLoans makes it to put someone in a car. Customers could not be happier with the way that RoadLoans has worked for them. Descriptions from how quick and easy the process was to how RoadLoans made a family situation a little better is how “Buyers Rejoice” has changed the car-buying experience for customers with dinged credit. Customer service is another thing buyers have lauded. The “Buyers Rejoice” part of RoadLoans is the emotion that customers feel when they have been put in the car that they have wanted for so long. Customer reviews on the RoadLoans website tell about the positive experience and the overall hassle-free way with which RoadLoans provides the right auto loan for each customer. As an online direct-lending program for Santander Consumer USA, RoadLoans makes car buying a great experience for everyone, regardless of credit history.